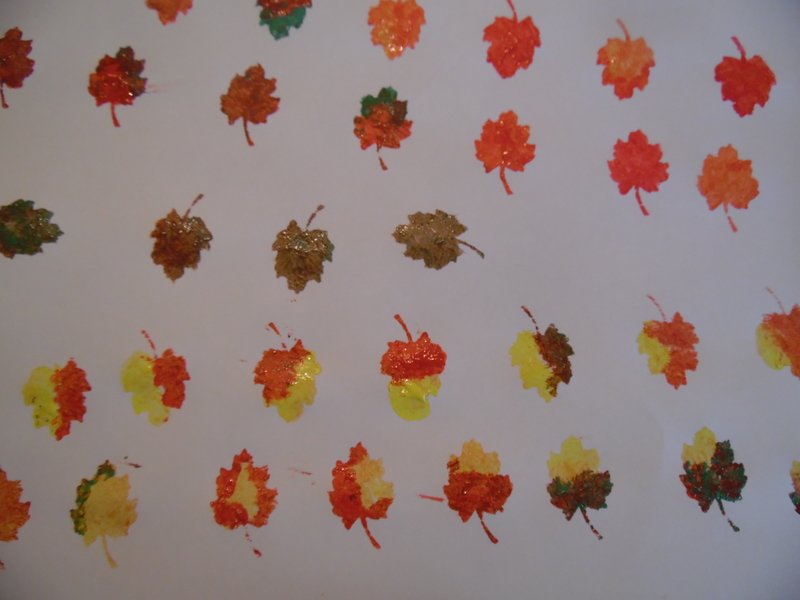 autumn colours | Let their light shine! 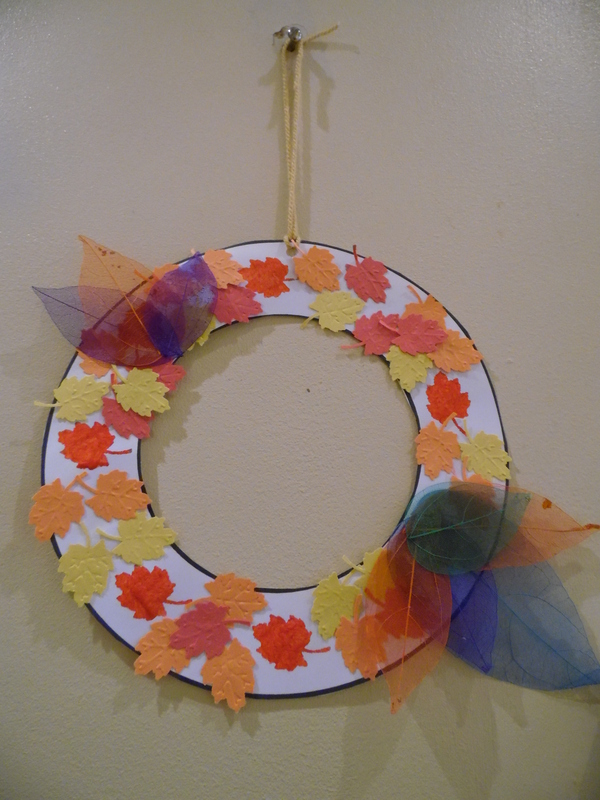 Autumn/fall craft ideas ..fun and colourful! 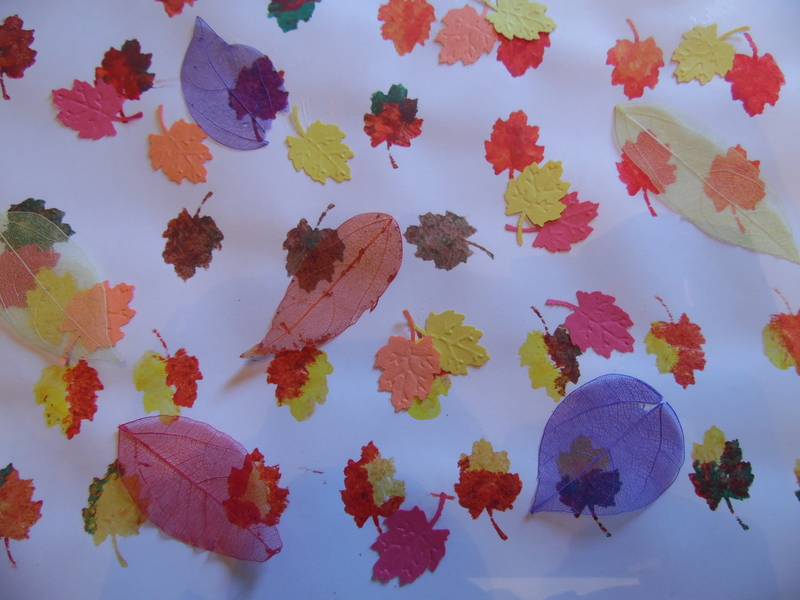 Autumn is a very colourful time of year. 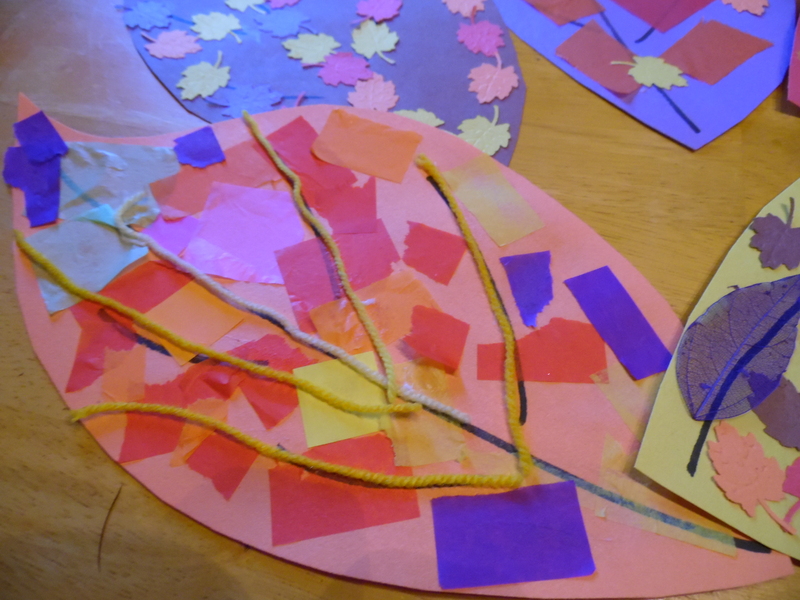 These crafts celebrate the bright reds, oranges and yellows. 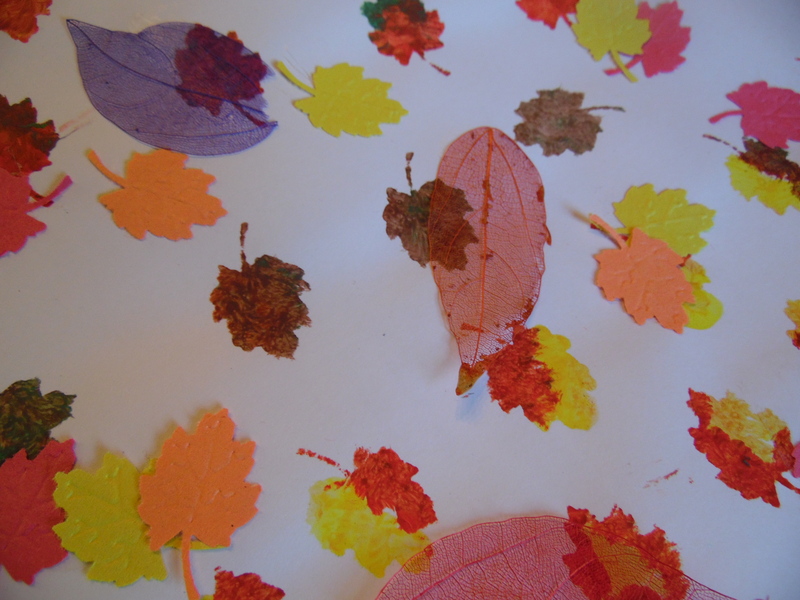 If you have a toddler then give them a selection of colours but limit them to autumnal shades. 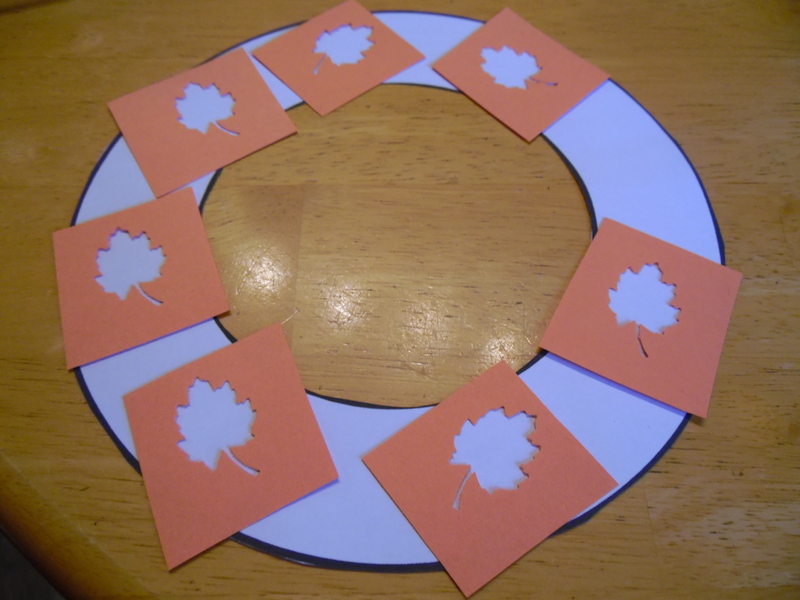 You can teach the names of the colours as you make the different crafts. 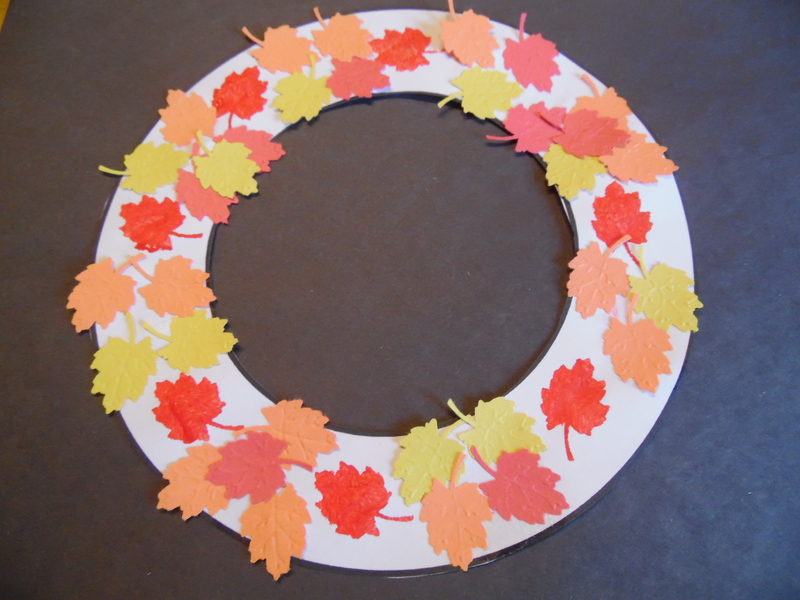 Idea One – making a wreath that celebrates autumn. 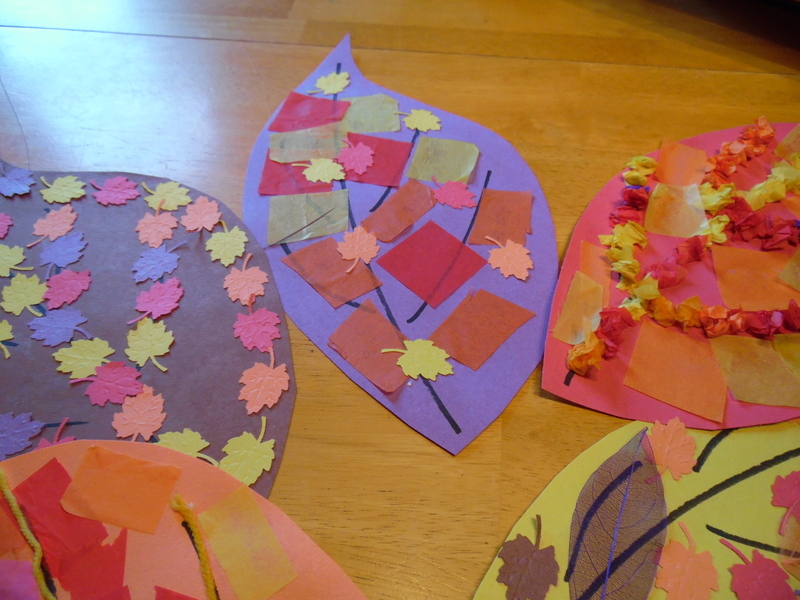 These are just ideas to get you started. 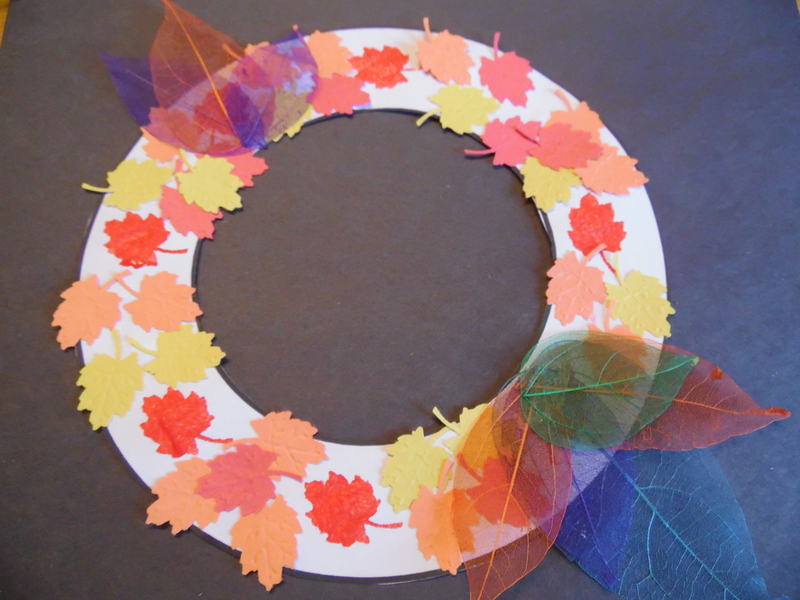 You may want to add tissue paper, wool, real leaves … at the end of this post is a free Pdf file of a blank wreath shape. 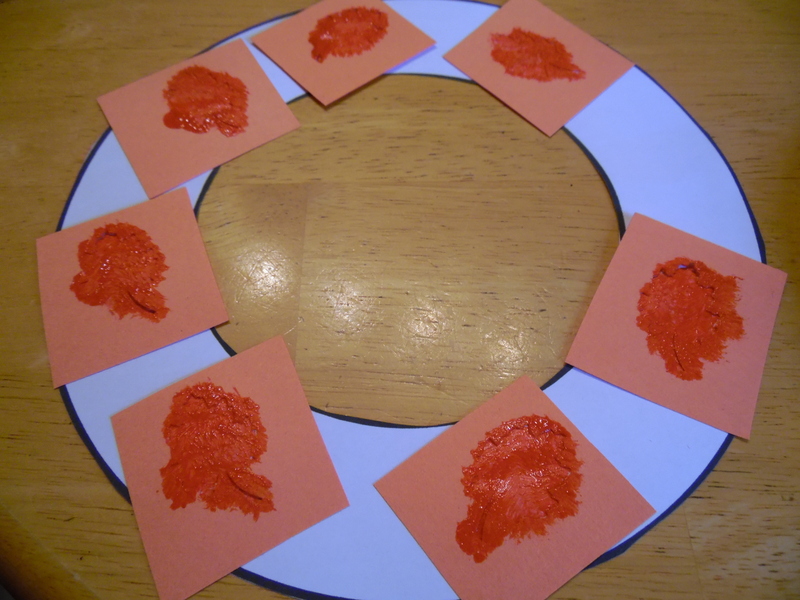 This can be printed onto A4 card. 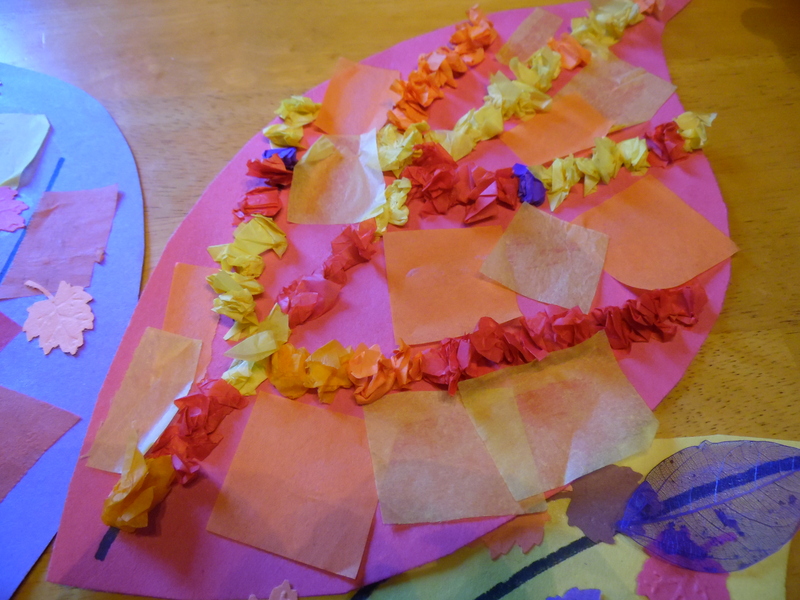 Older children will be able to cut it out themselves. 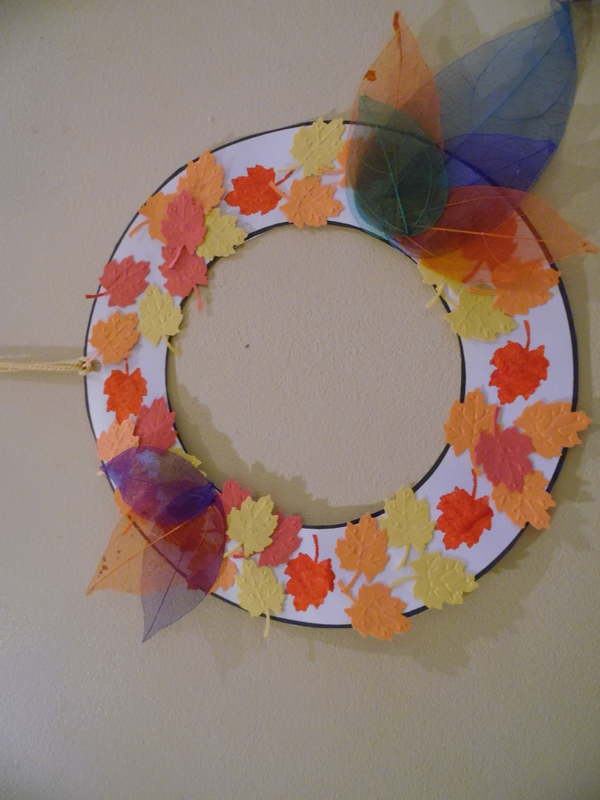 It would be a good idea to decorate first and then cut out. 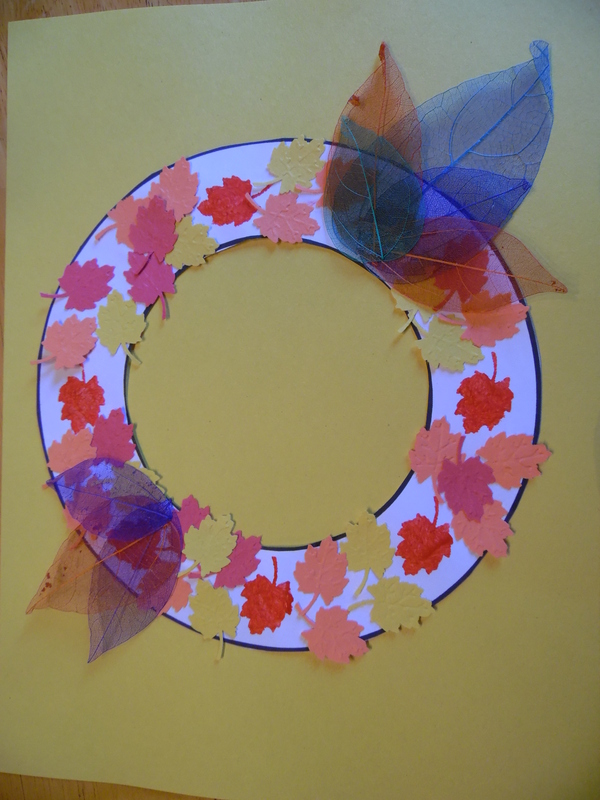 To make an autumn wreath you will need a cut out wreath shape (use card), coloured paper, paper punch, paint ( I used acrylic), paint brushes, skeleton leaves ( from docrafts papermania), glue, hole punch, wool or thread. 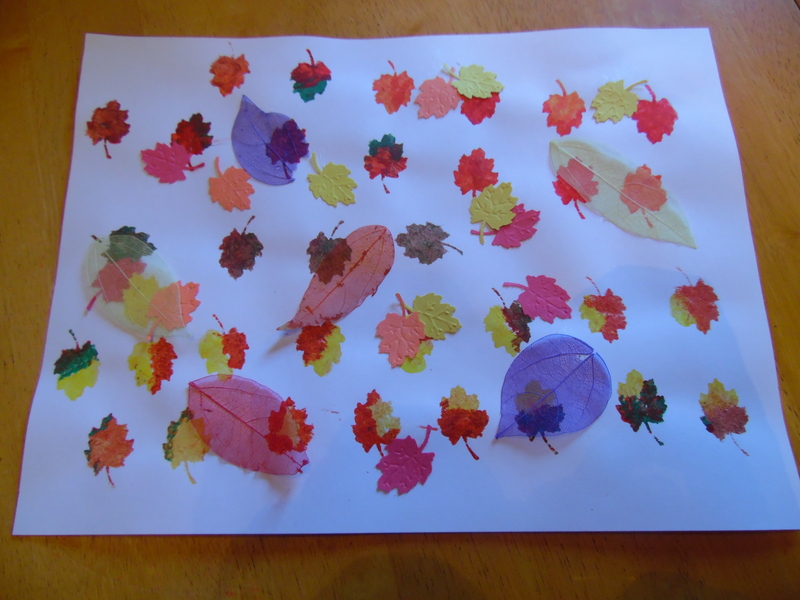 Older children can use a paper punch to make the leaf shapes and then use the remaining paper as a stencil. 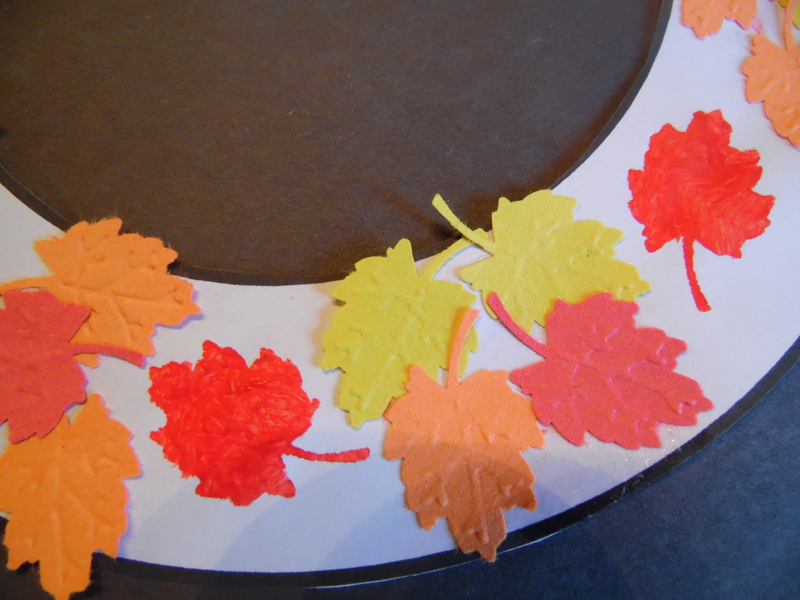 On the wreath stencil leaves with autumn colours using the acrylic paint (this is not easy to wash out of clothes so you will need to provide aprons or use thick washable poster paint. 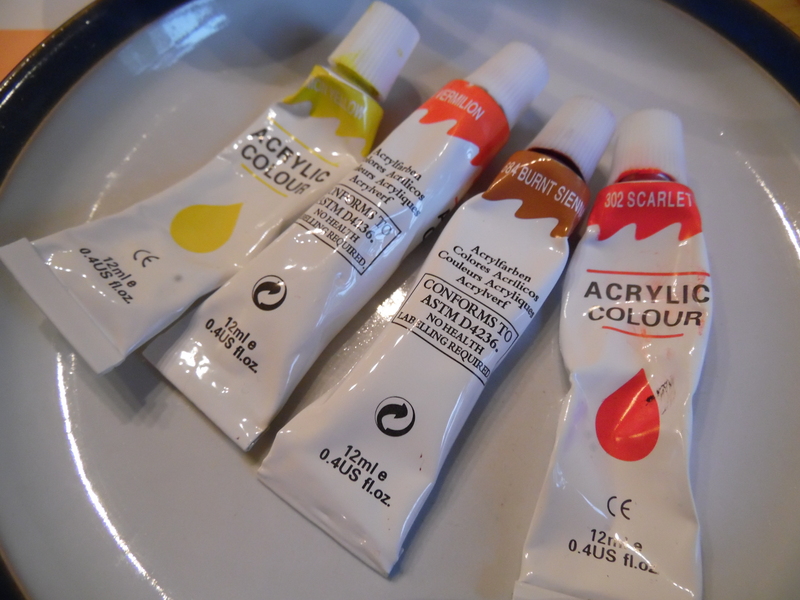 Watery paint won’t work so well). 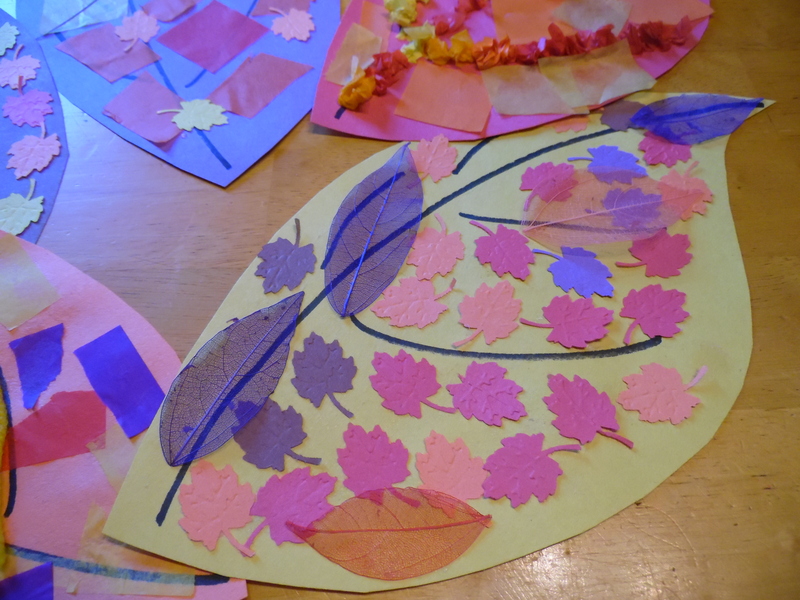 When the paint is dry add leaf shapes and finally add the skeleton leaves. 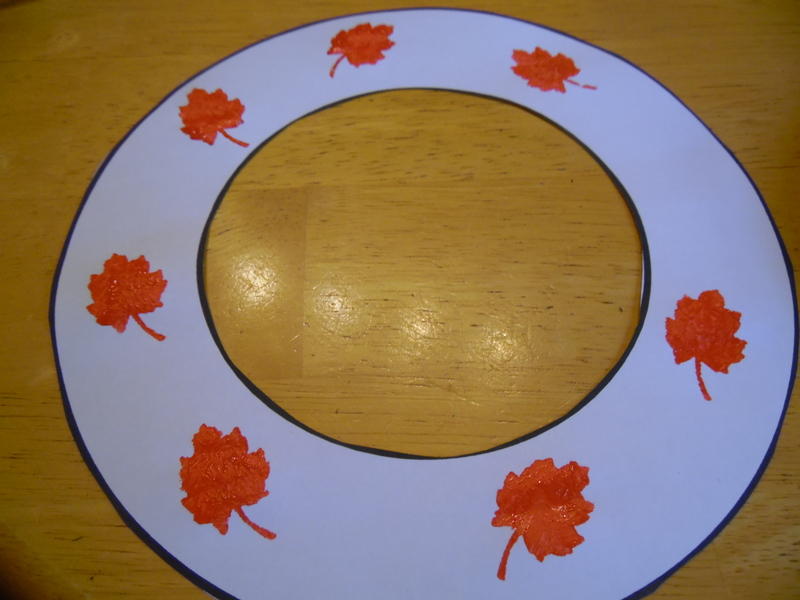 Punch a hole in the top of the wreath and add wool or thread. 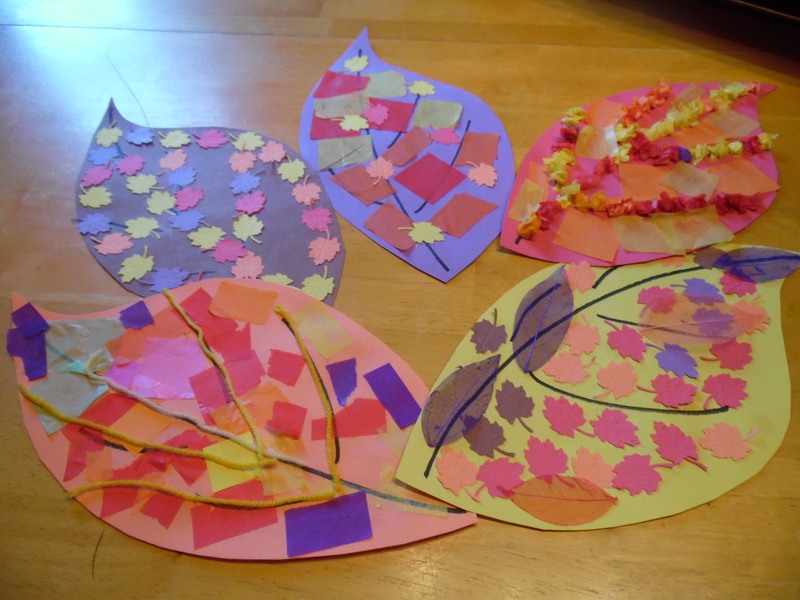 If younger children are making these prepare the materials ahead of time and help with the stenciling. 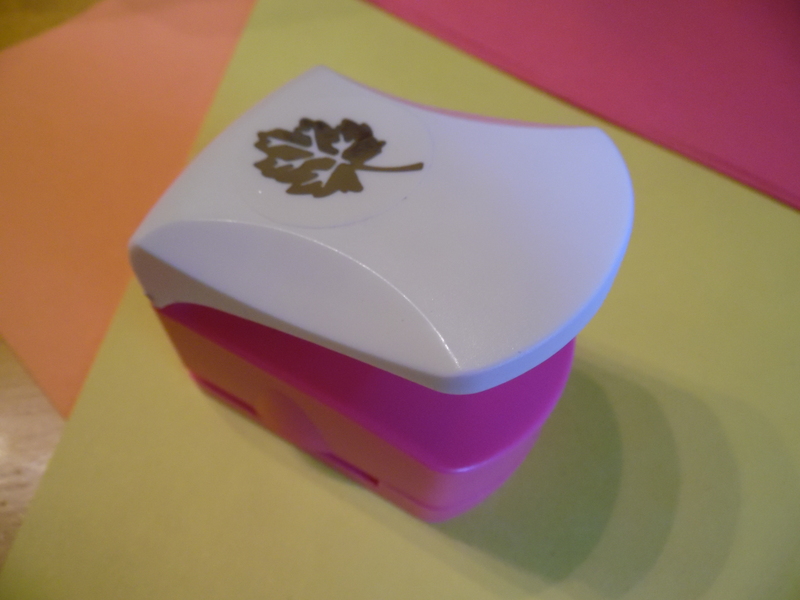 You may secure the stencils with some masking tape so they don’t move around and smudge. 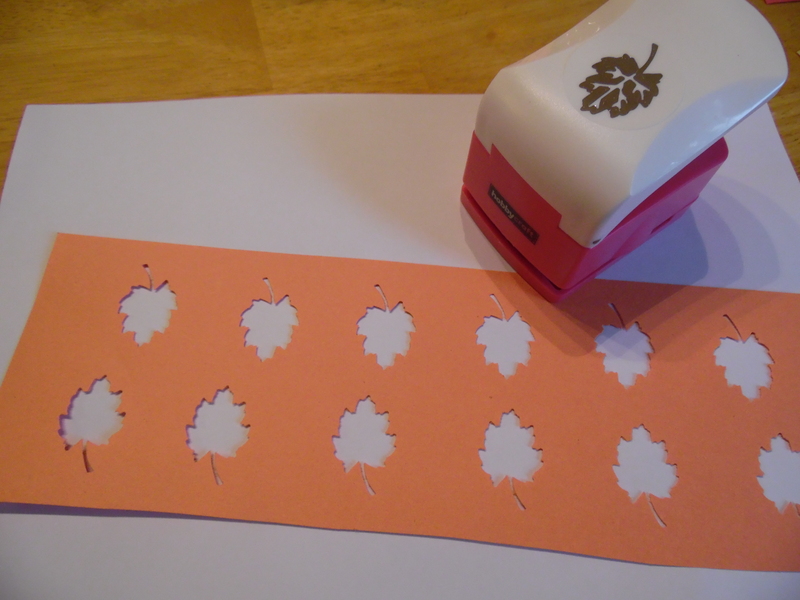 Again use a paper punch to make leaves and use the left over paper as a stencil. 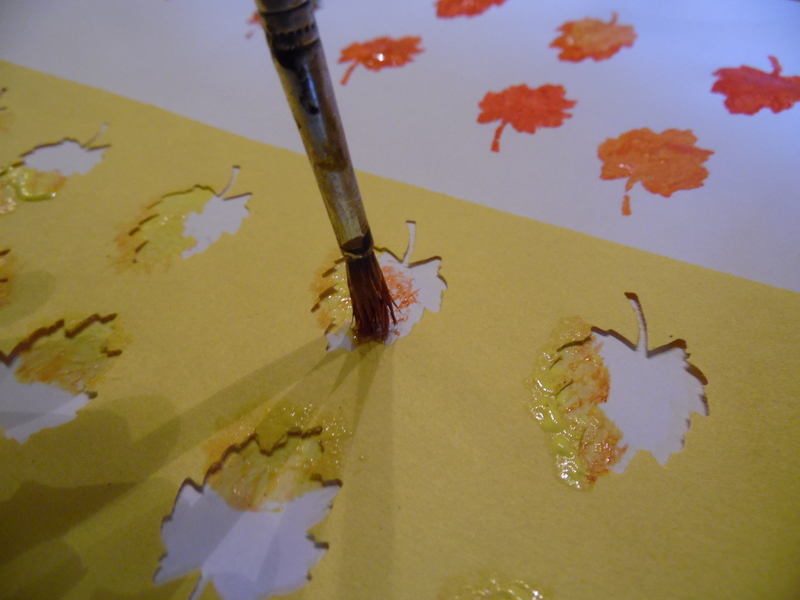 Start with stencilling, leave to dry completely and then add leaves. 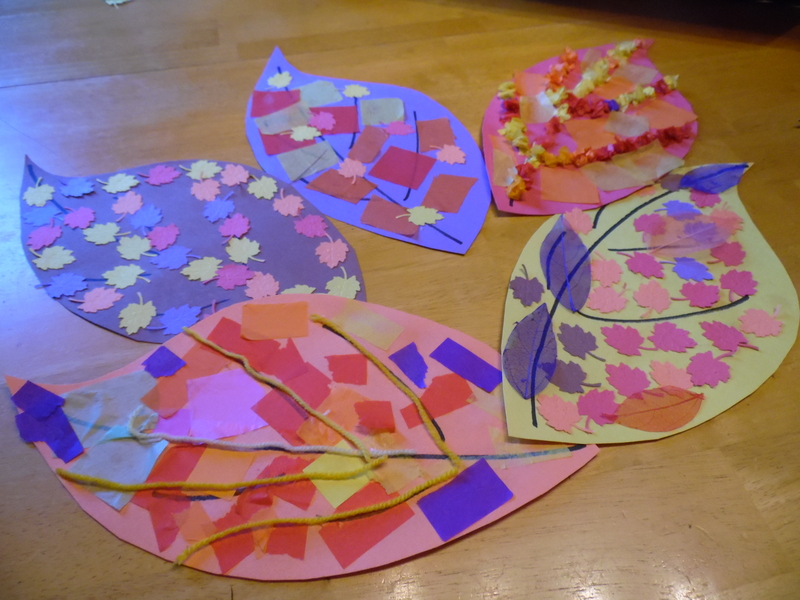 Another twist on this idea is to use a large leaf shape to begin. 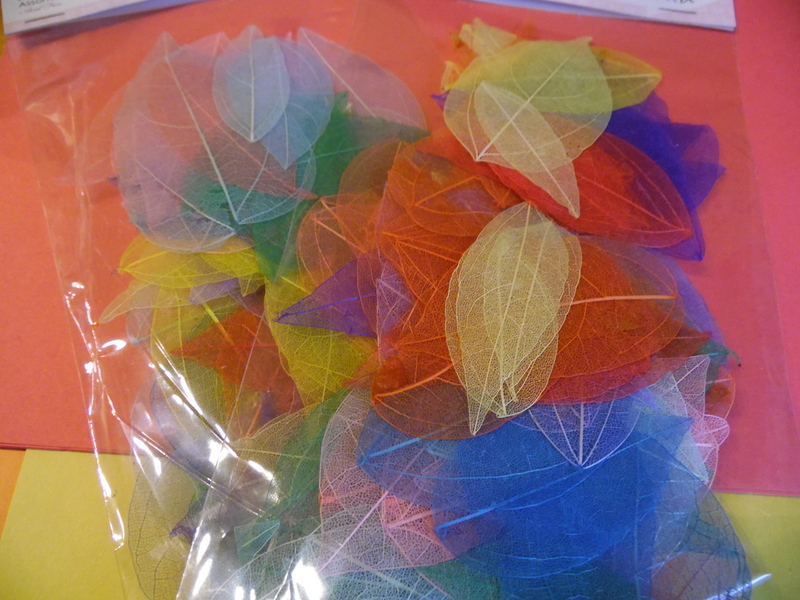 Add autumn coloured tissue paper, cut out leaves etc to the large leaf. this would be great with younger children in particular. 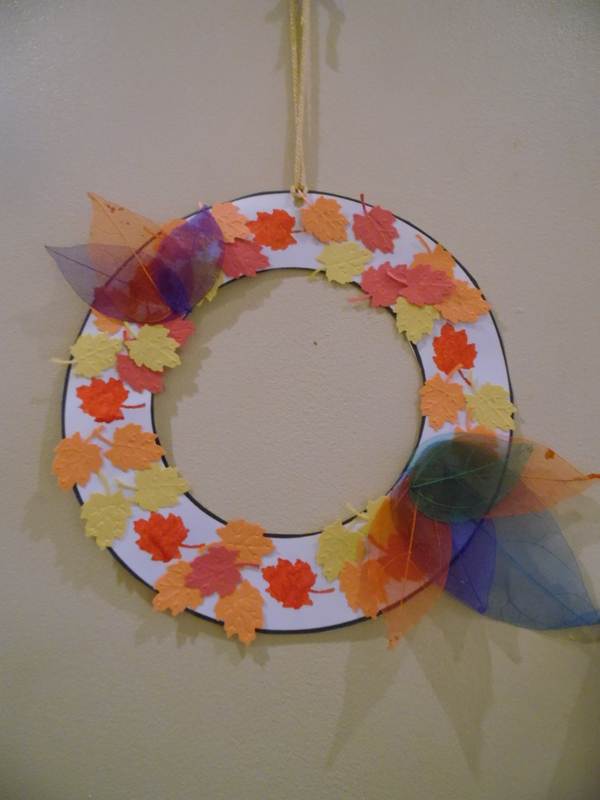 Enjoy making some Autumn crafts!